Great views of Mt. Washington, 1 mile to Storyland! 2 bedroom, 2 full bath condominium sleeps 4-6. Masterbedroom with 1 queen bed and full master bathroom, 2nd Bedroom has 2 twin bunk beds. Pull out couch is located in living room for additional sleeping space. Outside patio with electric grill, a great place to sit and relax while taking in the breathtaking views of Mt. Washington. This beautiful newly renovated condominium is located just around the corner from Storyland. For $10/day you gain access to the Recreational Center with an indoor pool, racquetball, fitness center, hot tub, sauna and more! 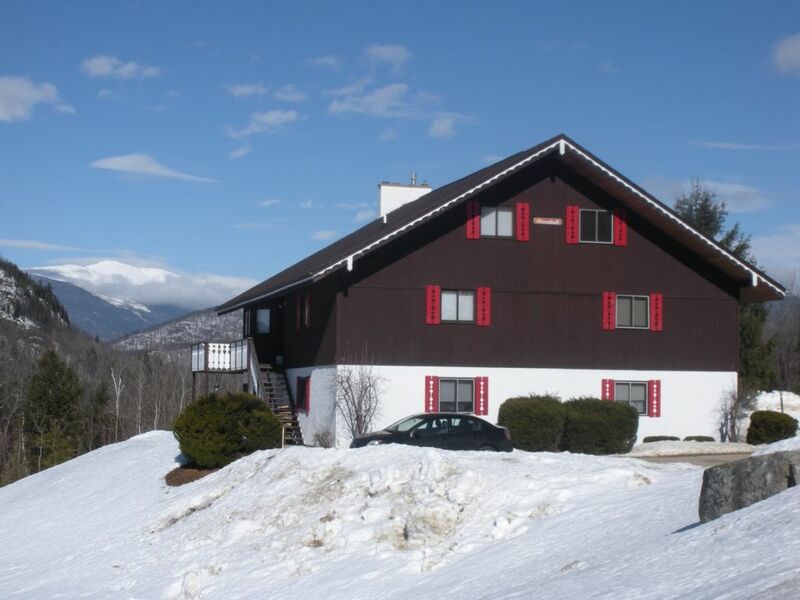 Centered in the heart of Mount Washington Valley this condo is just a short drive to shopping at the Outlets in North Conway, fishing and river swimming in Jackson N.H., all the Mt Washington Valley attractions, Wildcat, Attitash, Cranmore Mtn and Bretton Woods. Within 10 miles of 6 golf courses incl. North Conway CC and Wentworth CC. Open space surrounds this unit at Christmas Mtn for hiking right out your door. A great place for a vacation, summer or winter! Linens provided. Very clean and well equipped. We had everything we needed for our stay. Will definitely be returning. We absolutely loved it and will stay there again frequently. My only recommendations would be to get a BBQ grill of some sorts and the outside lights were all burned out. This place was amazing and very well priced. Thank you Brian! Glad you enjoyed your stay! We just bought an electric grill for the condo and replaced the outside lights, thanks for letting us know the grill was missing and the lights were out. Great location, views, lots of room and clean as a whistle. The only negatives: the bunkbed mattresses - definitely for kids only who are not so worried about comfort and we were not able to get the gas fireplace going - needs step by step written out - the stove, operating manual and remote control did not jive. Not a huge deal because it was not that cold out.